To get a residential audio visual installation consultation just pick up the phone and give us a call. Many people assume they do not need professional installation as they are just installing a residential product. The reality is that we can give clients the absolute best quality sound and visual effects from their new system with our installation services. There are any number of nuances that go into a residential audio-video installation. We are the professionals in the industry who are able to get the highest quality sound and the best quality high definition visual. We can maximize the homeowner's viewing experience. Ultimately, the entire point of getting some type of entertainment system, whether a person chooses to do it themselves or whether they choose to have a professional, is to have an enhanced experience when watching something on the screen. Since every home is different, audio-visual professionals are extremely adept at being able to analyze the schematics of a room. We can determine the best position to place speakers in order to maximize sound quality. 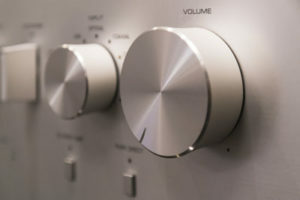 Whether these are in-line speakers, home theater speakers or in-wall speakers, the position of the speakers will make a drastic difference to the quality of sound. Regardless of how expensive the system is, the quality of sound will suffer in the absence of a state-of-the-art residential audio visual installation. On the other hand, thrifty homeowners who want to purchase a less than top-of-the-line home theater system or home audio visual system understand the truth. By using the expertise of audio sound installers, homeowners are able to maximize the capacity of their system and get an absolutely tremendous sound. Another important factor to keep in mind with a residential audio visual installation is that there are certain nuances that go into the visual elements as well. For example, positioning a television in such a way that the mid-morning sun does not hit the TV is a critical element of a visual installation. The distance, angle and any other small incidentals are all factors to consider in placing the TV. We can provide the perfect presidential audio video installation in order to give the homeowner the experience that he or she pays for and hopes to get. Ultimately, we do live in a do-it-yourself world. However, in order to maximize the full potential of a high-quality home entertainment system, it is important to have the professionals give you their opinion, install the system for you, and bring their years of experience to bear in doing so. By doing so, the homeowner will be able to maximize their audio and visual pleasure and not have a moment of buyer's remorse. For help installing your system, give our experts a call.